About us - Scuole d'italiano per stranieri Società Dante Alighieri. 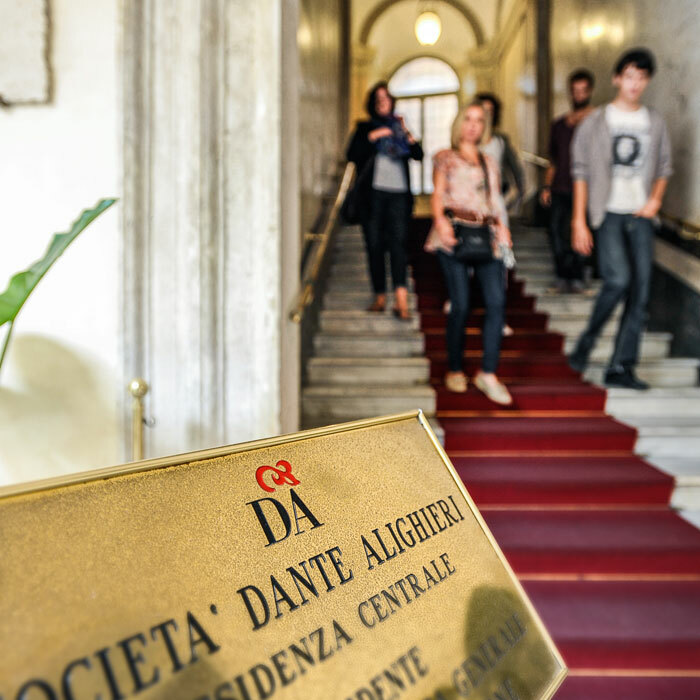 The Italian Language Schools for Foreigners of Rome, Milan, Florence, Bologna and Turin are part of the Dante Alighieri Society, founded in 1889 by a group of intellectuals led by the Italian poet Giosuè Carducci. Its aim is to «preserve and spread Italian language and culture throughout the world, rekindling the spiritual connection of compatriots abroad with their homeland and instilling in foreigners the sentiment of love and passion for Italian culture». The Dante Alighieri Society has been carrying out its mission for almost 130 years, relying on its vast Committee Network: about 400 International Committees, 80 Italian Committees, and the Italian Language Schools of Rome, Milan, Florence, Bologna and Turin, that offer courses of Italian language and culture, designed specifically for foreign students. The Dante Italian Language Schools draw on many years of experience in teaching Italian to non-native learners and offer a wide range of Italian language and culture courses, responding to the diverse needs of the large number of students from all over the world. The Dante Italian Language Schools are located in the historic centre of five of the most renowned and representative cities of Italy: Rome, Milan, Florence, Bologna and Turin. Their position is central and strategic: well-served by public transportation and close to the main tourist attractions, part of Italy’s artistic and cultural heritage. True to their primary mission, the Italian Language Schools of the Dante Alighieri Society serve as a fundamental point of reference for the study of Italian language in Italy. They are in aligned with the Common European Framework of Reference for Languages and guide students not only through the careful study of the language but also allow for an in-depth knowledge of the Italian culture and traditions.